When it comes to brand marketing, managing your "share of voice" on channels such as TV and radio has long been one of the key ways to maintain or build market share. Despite all the growth and innovation in digital advertising, there has not been a scalable and industry-wide corollary. With digital, a brand needs to think about more than just media weight - they need to manage consumer attention which could derive from sharing, social, or earned media. And the most successful brands are managing their "Share of Attention" - how much consumer attention they capture relative to their competition over a specific time period. Even more telling is to manage your Share of Attention relative to your Share of Spend - how much of the ad dollars in your industry are being spent by your brand to capture its share. Knowing how much attention a competitor is acquiring, along with how much they're spending, can allow a brand to gain insight into marketing and branding success. Globally, all brands can attest to the fact that they're looking to answer the same questions--how much consumer attention are my competitors capturing, how much are they spending and how must investment is required in order to rise above the noise in my industry. By leveraging the ideas of Share of Attention and Share of Spend, brands can accurately guide their investment strategies and decisions around video advertising. No longer quickly approaching--it's here!--the holidays bring out a festive feeling among consumers and brands alike, but it can be a ruthless season for those marketers looking to draw eyeballs to websites and feet to stores through branded video advertising. And with $965 billion in sales predicted for this year's holiday season, it comes as no surprise that retailers and brands want, and need, to make the most of the season. This isn't just unique to retail though, every industry from automotive to hospitality to technology is fighting to stay above the noise of competitors and working to win more attention, although the time of year varies. Looking at retail in particular, by leveraging Share of Attention and Share of Spend information, retailers can see which of their advertising campaigns are working compared to the competition. This is especially important surrounding the holiday season, which is already in full swing from a retailer's perspective. 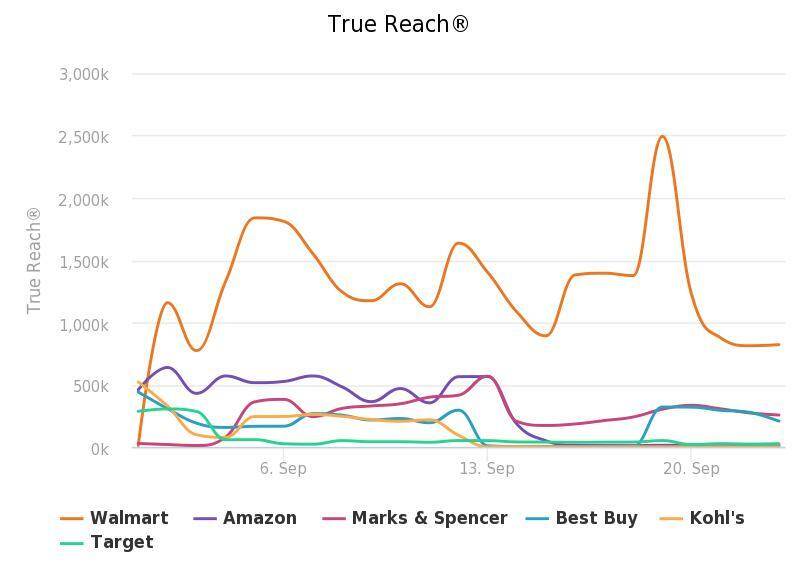 Based on the data we're already seeing, Walmart's Star Wars: A New Generation Awakens campaign has already captured the lead from a Share of Attention perspective, especially compared to this same time period in 2014 when Kmart dominated the start of the holiday season. 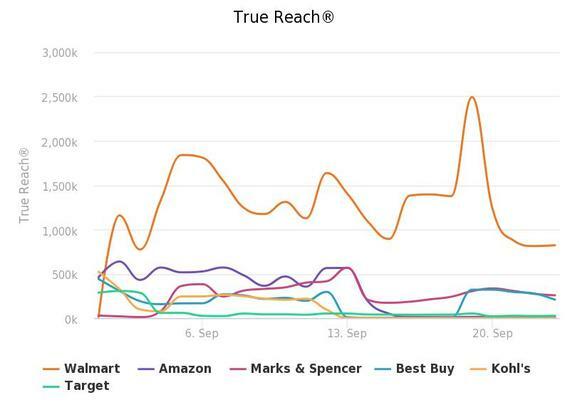 This campaign is garnering a ton of attention and is already expected to drive retail sales this holiday season, and based on Share of Attention data from September 1-22, you can already see that Walmart has jumped out to a big lead. Knowing the popularity of Star Wars among the U.S. consumer market, retailers now need to step up their game in order to compete. The timing of this campaign was spot on, approaching consumers at the very start of the holiday shopping season. Combined with the multiple short- and long-form content showcasing the new lineup of Star Wars toys and memorabilia, this campaign proved to be the winning competition to set Walmart ahead of other retailers when it came to catching consumers' attention. In an industry such as retail, there are clear seasonal pushes, such as back-to-school and the holidays, and in order to bring in the sales, brands need to be able to stay above the competitive noise in the market. Releasing fresh, original and engaging content, and picking up on popular consumer trends--like Star Wars--help push retailers to the top. Looking at the bigger picture though, if brands are able to leverage an instant view of how consumer attention is distributed across video ad content, during specific time periods, they will be able to set themselves apart from the competition and win their "holiday" season, for whatever industry they may be in.